This elegant 3ct Lab-Created Sapphire twin row bracelet is perfect to accompany any outfit. 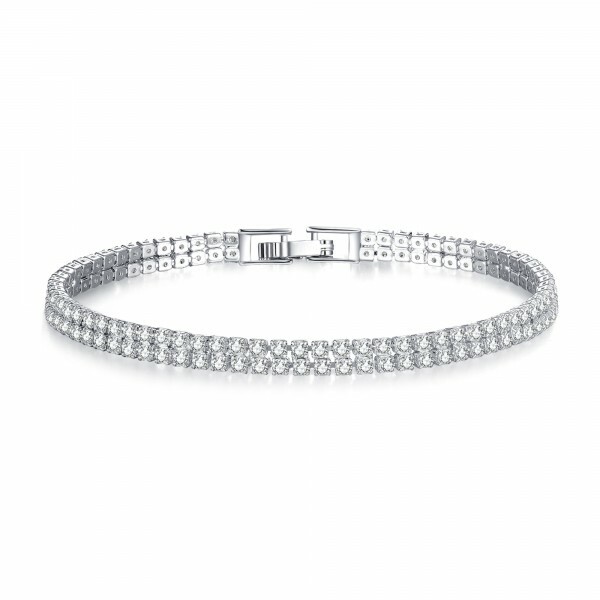 The bracelet measures 18cm with a lock clasp and consist of 136 Clear Lab-Created Sapphires which total 3ct. 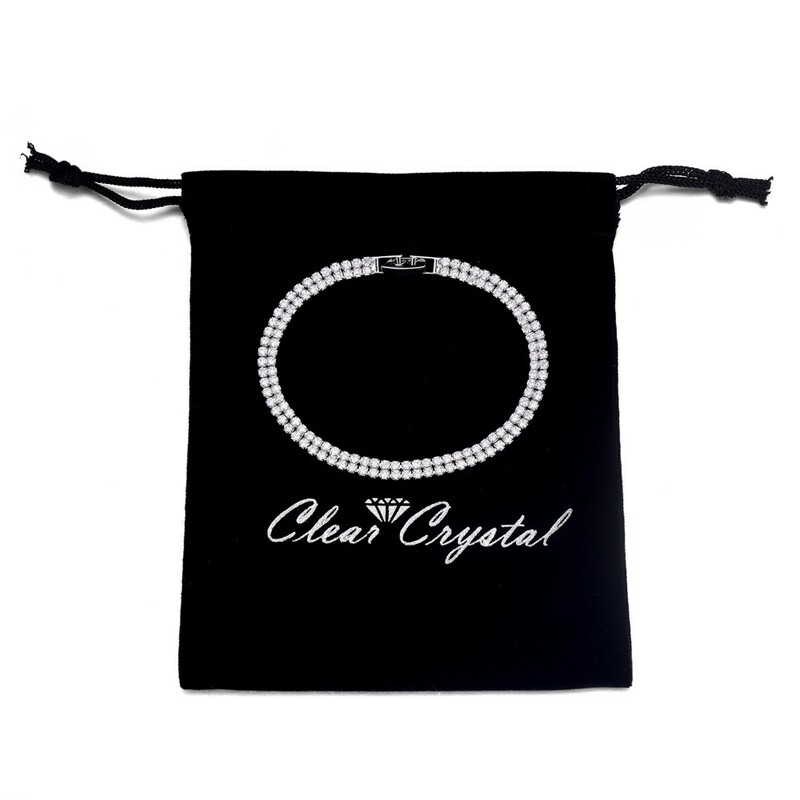 The bracelet comes in its very own luxurious velvet pouch .